Home » Blog » Take a dip – it’s summertime! When it’s hot and sticky in the city do you dream of plunging into cool water? Once the initial shock is over don’t you love the amazing exhilaration of floating, leaving the stresses and strains of life next to your towel on the shore? However, next time you don your cap and cozzie, consider that there was once a time when people didn’t, or couldn’t swim. It seems we’ve been taking to the water since ancient times – 10,000 year-old rock paintings in caves in Egypt depict people doing a kind of breaststroke or doggy paddle. The first swimming book was written in 1539 by a German professor Nikolaus Wynmann. Wikipedia reports that he sought to reduce the dangers of drowning and mentioned swimming aids such as air filled cow bladders (perhaps not one for vegetarians!). For a long time breaststroke was the thing, until a new, less gentlemanly stroke made a bit of a splash when two Native Americans brought it to London for a swimming competition in 1844. 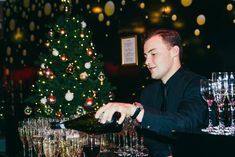 What we now recognise as the crawl proved faster, but the considerable splashing that the stroke caused was deemed to be barbaric and ‘un-European’ to the British gentlemen, who preferred to keep their heads above the water. In 1956 Japanese swimmer Masaru Furukawa won the Olympic gold by staying largely underwater. This started a dangerous precedent until, according to Livestrong new regulations had to be set in place requiring swimmers to break for air after each swim cycle as many were passing out due to lack of oxygen! However things were very different for women. Jenny Landreth wrote in her water-biography ‘Swell’, “Women were allowed to swim in the sea as long as no men were around, but even into the 20th century they could be arrested or fined if they dared dive into a lake”. The prudish Victorians believed that no one could possibly be responsible for their actions if they saw a woman getting wet! In order to avoid arousing such dangerous passions, ladies were hidden in beach huts and sturdy women called ‘Dippers’ were employed to work a section of the beach, and wheel the huts (complete with female swimmer), into the water. By the 1930’s some of the laws started relaxing and some segregated swimming sessions at pools were allowed, but even as late as 1929 a woman was fined for her audacity in swimming in the Serpentine. Whether you’re a fan of Hampstead Heath, the Serpentine or your nearest lido, these days most of us enjoy the relative freedom of taking to the water without fear of being fined. Have you got a favourite swimming spot near the city? 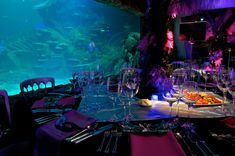 While you can’t swim there, we reckon it’s pretty cool being able dine or party under the sea at SEA LIFE London Aquarium for your next event!